Conceived by Arqitect Julio de la Peña in 2001 on what used to be a movie theater, this vanguard stile building is home for the Guadalajara film festival and other plays comming to the city. 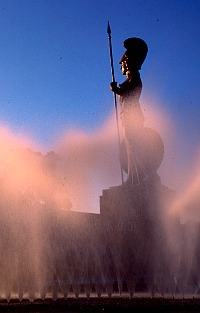 Managed by the University of Guadalajara was inagurated with the Lord of the Dance on February 2005 and days later by Luchiano Pavarotti and the Jalisco Philarmonic Orquestra. 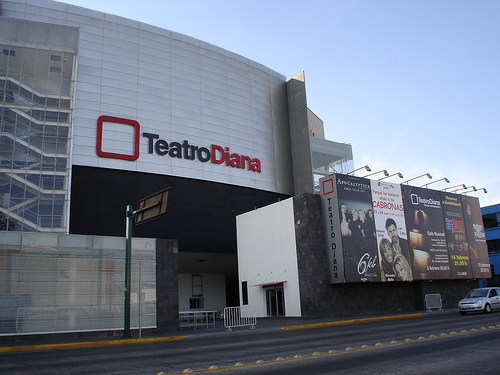 Today is one of the most important theaters in the down town area of Guadalajara. Diana Theater sits 2,300 people in 8 sections.